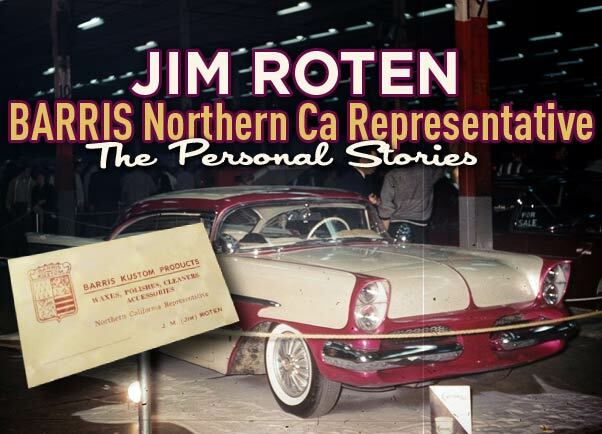 Mike Roten, Jim Roten’s son, send us an interesting photo showing an Barris Kustom Products Business Card with his father Jim Roten listed as the Barris Northern California Representative. Of course we needed to find out more about this. We have been sharing some more material from the Jim Roten Collection, and stories here in the Custom Car Chronicle in the past. Jim did some really great Custom design work in the Northern California area, working closely with Riley Collin’s Custom Shop in Chico California. 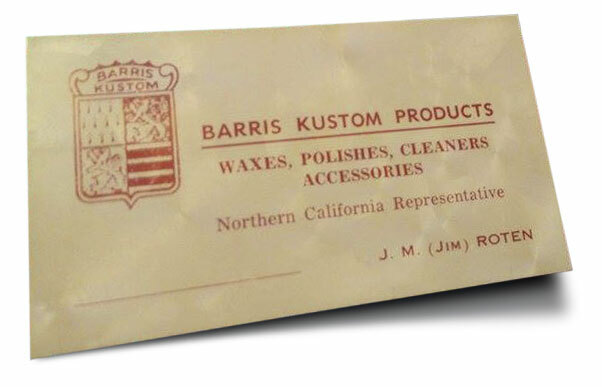 We also knew about the friendship of Jim with Sam Barris, but when Jim’s son Mike Roten send us a photo showing a business card from his fathers collection where Jim Roten was listed as a Barris Kustom Product Northern California Representative, we where a bit surprised, and naturally we wanted to know more about this Business Card, and what was behind it all. 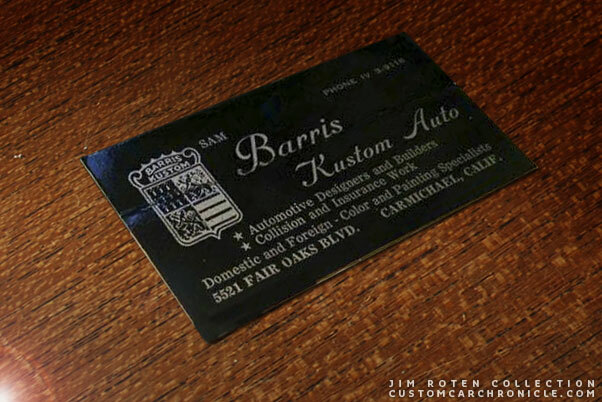 The Barris Kustom Products Business Card that was made for Jim Roten. 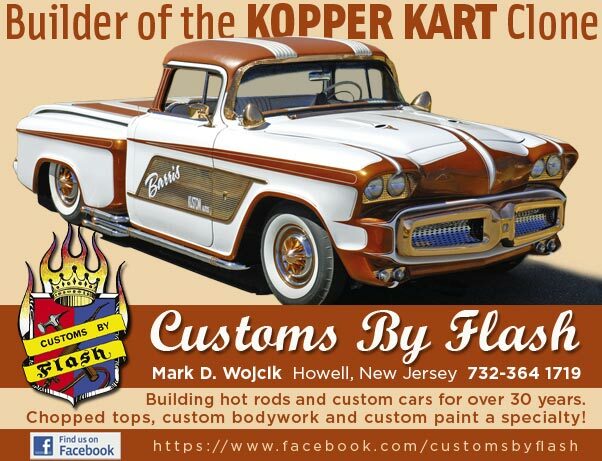 Northern California Representative for the Barris Kustom Products. We asked Jim Roten about the Barris Business Card his son has send us. Jim replied that he was really surprised that Mike still had those old Business Cards, he had not thought about those in many decades. Jim mentioned that a car show was coming up in Woodland, California, in 1961, perhaps 1962. 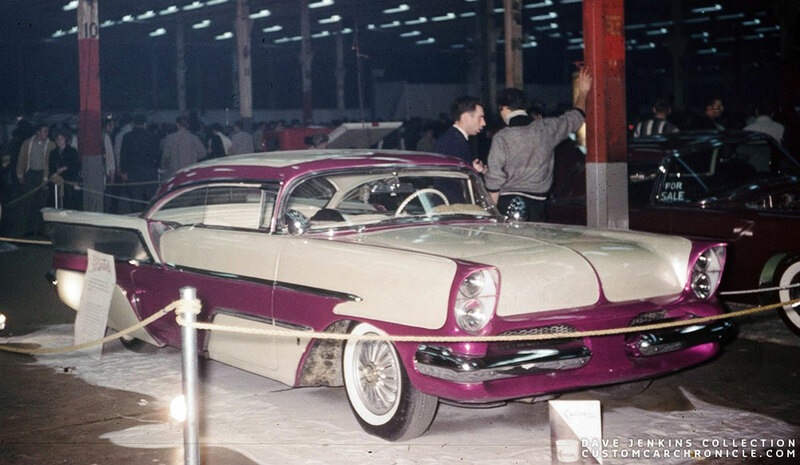 Sam Barris was entering the 1957 Chevy “El Capitola” custom for the owner, the Taggart Brothers from Ohio. 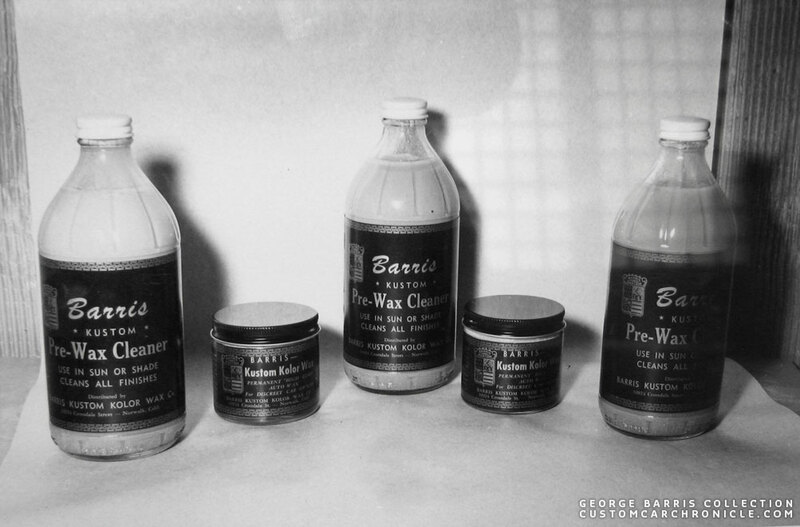 Sam thought it would be a good idea to promote some of the car wax/detailing products being marketed by George under the Barris Kustom Products line. Sam suggested that Jim Roten have a Barris Business Cards printed so that he would be an approved vendor at the show. Hundreds of sample jars of Barris Carnauba Wax, other Barris Kustom Products hand outs and Jim’s Business Cards were given away during the event. Jim Roten specifically stated that he was never employed by Sam or the Barris Kustom Shop though. 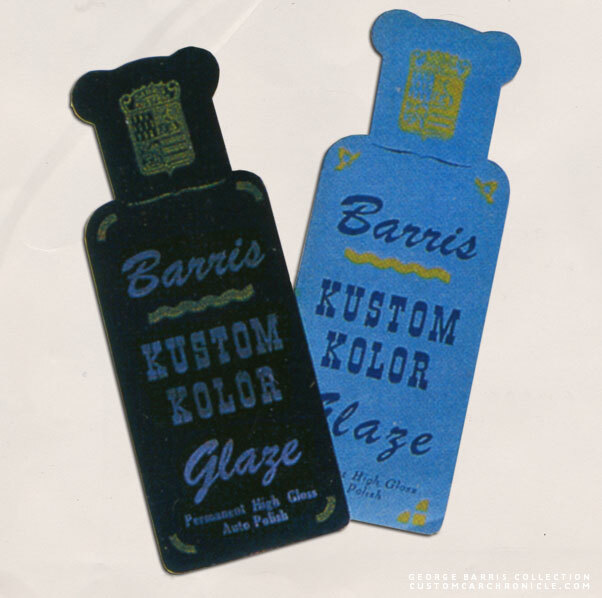 Die-cut bottle shaped cards were given away at shows to help promote the Barris Kustom Products. Thinking back about this after all these years, Jim thinks it might have been Sam’s way of getting rid of several cartons of the Barris Kustoms Wax that were taking up valuable space in his shop. 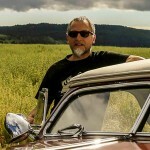 Sam had already moved back from Los Angeles to Carmichael, nearby Sacramento a few years ago, and he must have realized that he would soon move on to stop working for the Barris Kustom Shop. 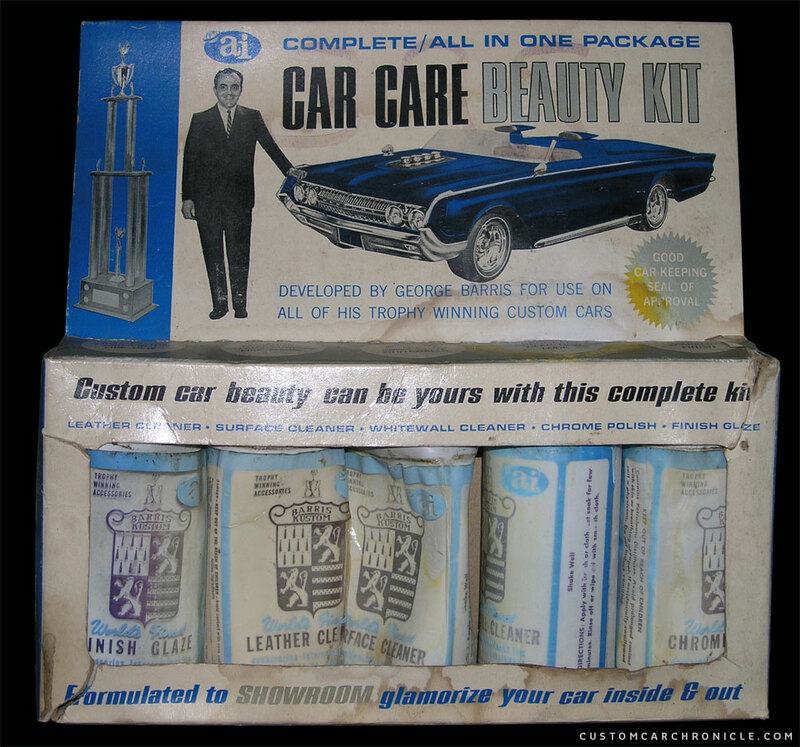 Barris Kustom Products created a line of Custom Car Care products in the early to mid 1950’s. 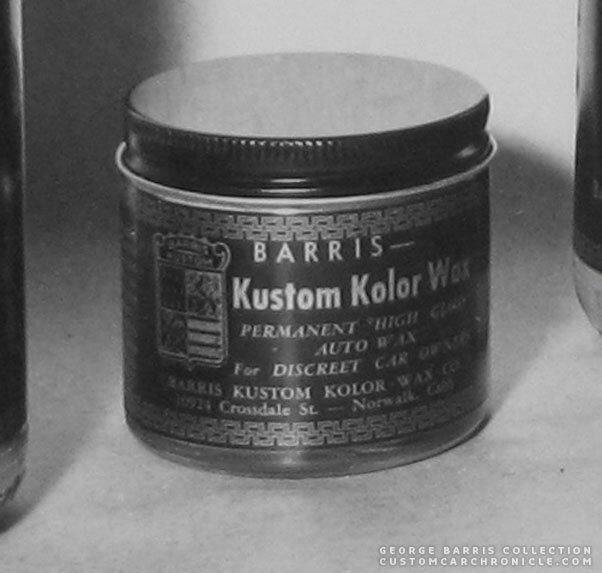 Barris Kustom Products Kolor Wax, sample bottles of this product were handed out at the Woodland show by Jim Roten. 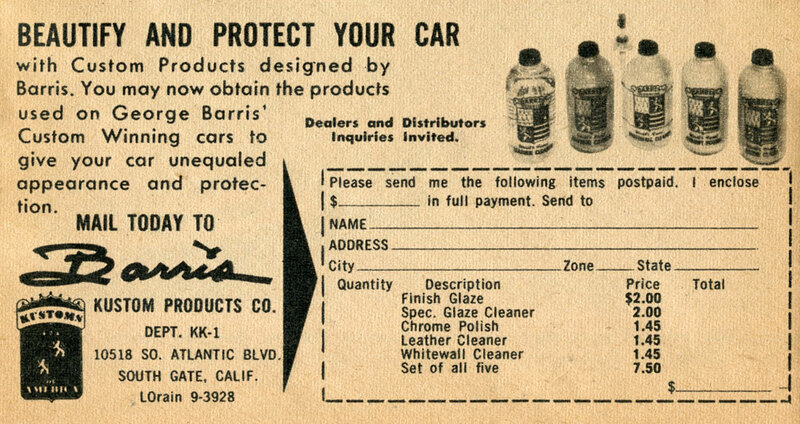 Towards the later part of the 1950’s the Barris Kustoms Care Products developed some more and the Barris shop ran some ads in the popular Hot Rod and Custom Car magazines to promote the products. Mike also send a picture of this Sam Barris Business Card I had never seen before. Very interesting the Barris Kustom Auto shop in Carmichael California. Jim had taken Sam’s card at this same Woodland Car Show. Jim also remembered that Sam Barris was very happy after the show. The last real Barris Kustoms Custom he had created, the El Capitola, took the top award at Woodland show. Its stiffest competition was Gene Winfield’s Jade Idol. Jim has fond memories about the show and spending the time there with Sam Barris.The El Capitola is an amazing Custom Car, which shows Sam Barris great body working and design skills. 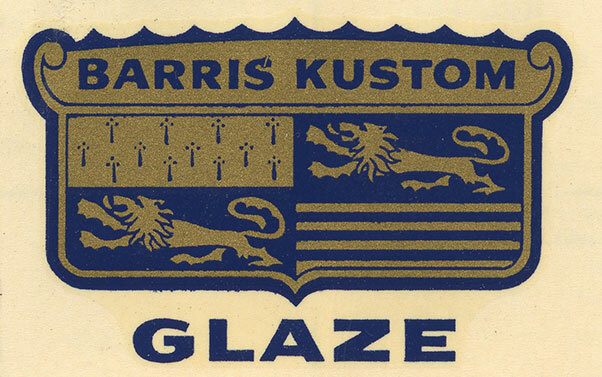 To help promote the Barris Kustom Products even more Barris also had these Barris Kustom Glaze water decals made. These were given away at car shows and when you bought the product. 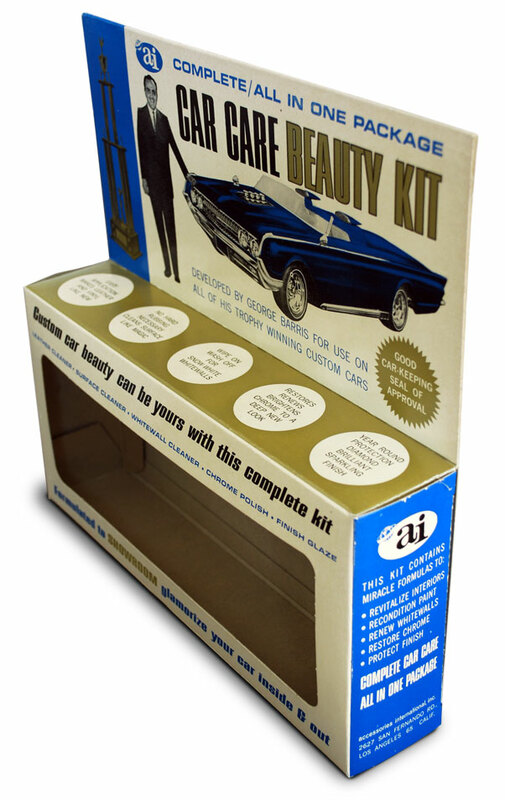 I would love to have that full set of 1950’s Barris polish and wax kit…. I always wondered if there were several Barris representatives in different areas of the US? I have an article from an early 1960’s Northwest Rod News that has the headline, “Barris Customs Has N.W. Representative”. The story begins by saying that “Ray Wilson of Kent, Washington has become a representative of Barris Customs of California. 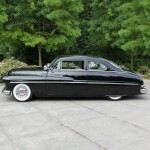 Then it mentions that some of the Northwest’s finest custom cars have been done under the skilled hands of Ray Wilson. One of the finer examples is Madame Fifi which has won many trophies in the past few years. They also mention his fine paint jobs. I think Alexander Brothers may have also been a representative?